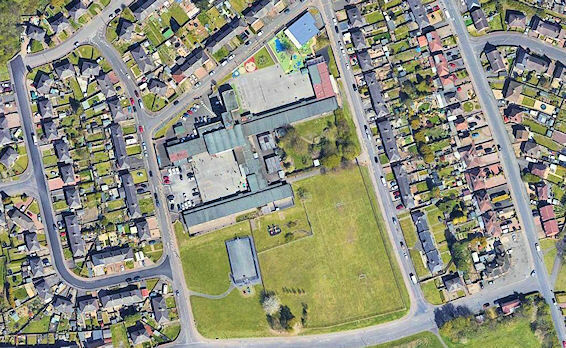 Netherbrook Primary School is a large school at the heart of its community. We are a two form entry school with 60 pupils in each year group split into two classes of 30. We also have a 56 place Time for Twos part time pre-school and a 78 place part time and 30 place full time Nursery unit within our Early Years Foundation Stage (EYFS). We have a very large site that offers our pupils an exceptional environment in which to learn. We have a Forest School area, large playing field, an Eco Zone, two large playgrounds and a fully equipped enhanced Nurture Unit. When a child begins their education with us our Early Years Unit offers a very wide variety of experiences and opportunities for pupils to express themselves and learn. Our pupils’ personal, social and emotional development is key and our dedicated team of EYFS staff ensure pupils’ needs are met every day. Child Initiated learning is a fundamental part of our EYFS practice and our pupils quickly develop into confident, independent learners who are well prepared to move into Year 1. At Key Stage 1 a high emphasis is placed on the development of reading as this is crucial to success in both writing and mathematics. We follow the Letters and Sounds programme to deliver our phonics and pupils achieve well by the end of Key Stage 1. In Key Stage 2 we focus on developing our pupils’ skills across the curriculum and in English and Mathematics in particular. Our fundamental aim is to ensure all our pupils are given the skills to learn effectively throughout their lives. When they leave our school, our pupils are always well prepared for the future. At Netherbrook we offer a broad and balanced curriculum that is based on the aim of developing confident, independent pupils, high in self esteem, with meaningful skills and a clear understanding of their place in the world. Our curriculum is creative, fun and full of interesting and vibrant learning experiences for all our pupils. Underpinning our curriculum are what we call our ‘Golden Threads’. This is a core curriculum based on the personal, social and emotional development of our pupils. We do this through ‘Global Dimensions’, this is a programme of study that enables our pupils to be well prepared for learning and develops the key skills of independence and deeper thinking. The performing arts are very important to us here at Netherbrook. We are recognised locally for our excellent choirs and dance troupes and our productions are unparalleled. We take a great amount of pride in everything that we do and our pupils are very proud of their school. Our lunchtimes are packed full of fun activities for pupils to take part in and we have a high number of lunchtime and after school clubs on offer to enrich the learning experiences of our pupils. To provide a welcoming and caring environment where each child feels confident and valued and realises their true potential. To create a happy, caring environment where each child can develop confidence, independence and self-esteem. To establish good, sound academic standards through high expectation and a broad and balanced curriculum, enabling each child to attain his/her full potential. To promote the spiritual, moral, cultural, physical and creative development of each child and prepare each to take his/her place as a valuable member of a multicultural society. To foster a love of learning, a respect for each other and a pride in the school as a caring and supportive community. To develop all staff and provide ongoing training which will benefit teacher and child alike in our commitment to raising standards in all areas of school life. To assist each child to feel confident in a fast changing technological society. To develop a working partnership between home and school and establish Netherbrook as an integral part of the community. To develop a sense of responsibility towards each other, the school and the community. To create an attractive, stimulating and comfortable environment where staff, children and parents enjoy working. To strive to improve and be the best in everything we do. Netherbrook Primary School is an inclusive school. We believe in inclusion in mainstream school wherever possible, to enable all pupils, whatever their educational need to achieve their full potential. We have a non-class-based Inclusion Leader or Special Educational Needs Co-coordinator - SENCO. She identifies and monitors children who are placed on the Special Education Needs Register to ensure that all needs, whatever they may be, are fully met. The SENCO liaises with class teachers and relevant outside agencies to plan relevant provision. Parents are kept fully informed regarding their child's progress and regular review meetings are held throughout the year. Children with special needs are primarily supported within the classroom by the year group team. Year group staff are aware of the needs of the pupils and, with input from the Inclusion Leader, they maintain a provision management map, which details how individual needs will be met through the use of an Individual Education Programme (IEP). Progress is closely monitored and appropriate interventions and additional support are available to pupils who need it. Examples of Special Education Needs provision include 1:1 and small group mathematics or literacy work, reading and language and communication groups. Year group teaching assistants will often takes these intervention groups, making sure that the strategies and skills learnt there are put into practice back in the classroom. The school also has an excellent Nurture Room called 'The Den', run by staff trained to deal with pupils with complex needs to support teachers. We have close links with Dudley’s Learning Support Services (LSS), Autism Outreach, an Educational Psychologist, Dudley Speech and Language Unit and the school nurse, all of whom support us in developing and delivering an inclusive curriculum for our Special Education Needs pupils.